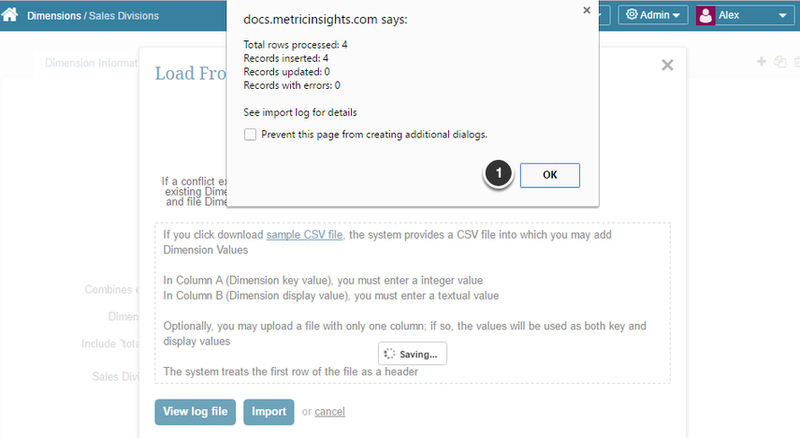 Dimensions with a large number of Dimension Values can be populated directly from a CSV file. 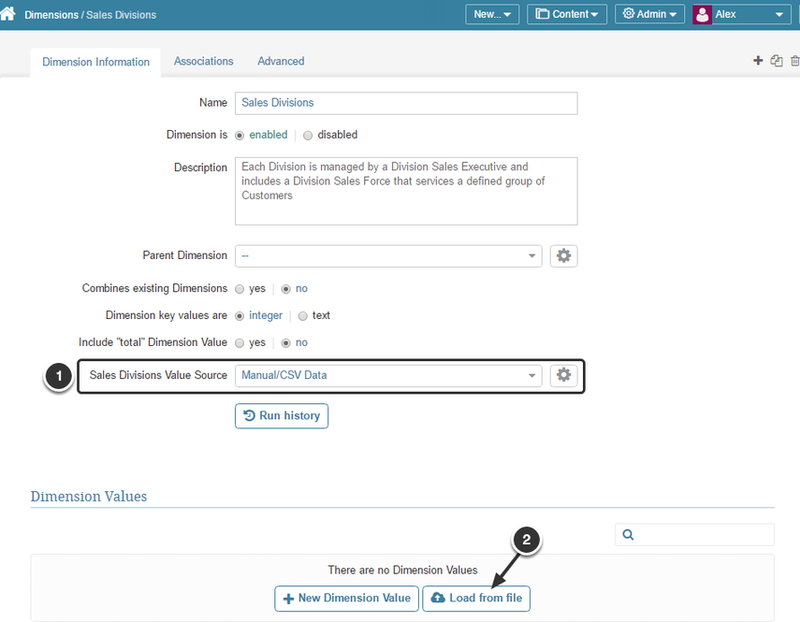 If you have a limited number of Dimension Values, the easiest way is to create a new value is to follow the procedure described in this article: Create a Dimension with Manually Entered Values. 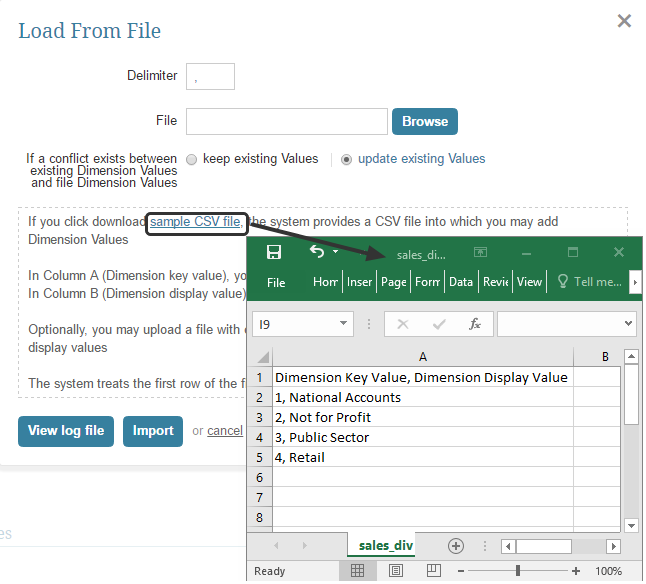 Key Value with format the conforms to the Dimension Editor's setting of "Integer" or "Text"
The Load From File pop-up opens. 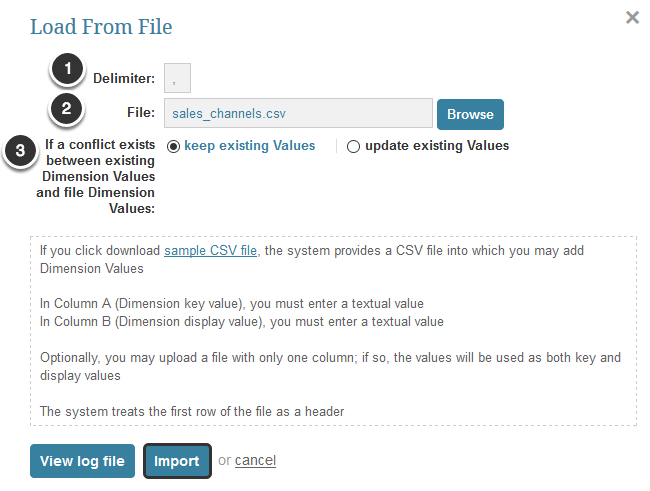 Newly uploaded values appear and may be edited directly from the Dimension Values Grid.